Mrs. Bar-B-Jew decided to get into the canning action and her first batch came out perfect. 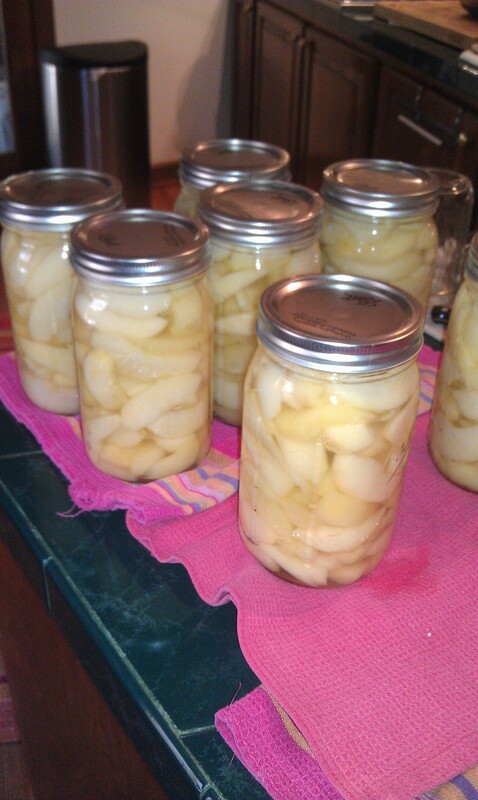 Canned apples just waiting to become an apple pie (hint, hint:) She was so into canning her first batch that she didn’t even have canning tongs and braved the boiling water and possible scalds with regular tongs. Luckily she made it through unscathed and is now properly equipped.